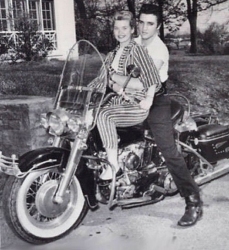 Elvis could stroll to the garage and decide which motorbike to fire up for a ride. He had a choice. A vintage Harley Panhead or a Honda Dream, or perhaps a Triumph bike. Most likely it would be his favourite Harley-Davidson Dresser. 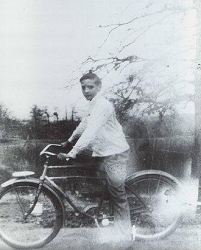 “Most loved bike Elvis owned was the Harley Dessert. They were police-type bikes. 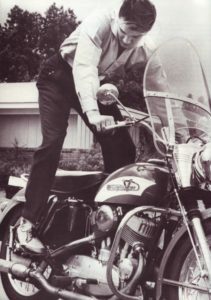 Bigger and close to the ground just what Elvis loved,” says Ron Elliot, the proprietor of Super Cycle, a Memphis motorbike shop that took care of all Elvis motorcycle business. Viva Las Vegas 1964 Sporting comic-book names Lucky Jackson (Elvis) and Rusty Martin (Ann-Margret) the two forge a romance against the backdrop of the Vegas Grand Prix, which Elvis, naturally intends on winning. 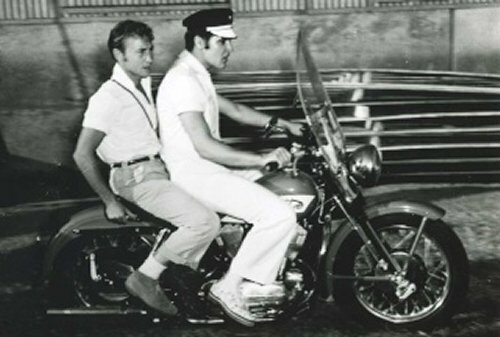 Roustabout 1964 Elvis plays Charlie Roger a motorcycle rider trying to earn a buck singing in small clubs. He gets a temporary job at Maggie Morgan’s Carnival while his bike is being repaired.